What do the Hoosiers need to do to make the 2019 post-season (or maybe host)? Final pre-season analysis on updated 2019 schedule with what a path to the post-season or even temporary bleachers at the Bart might look like. 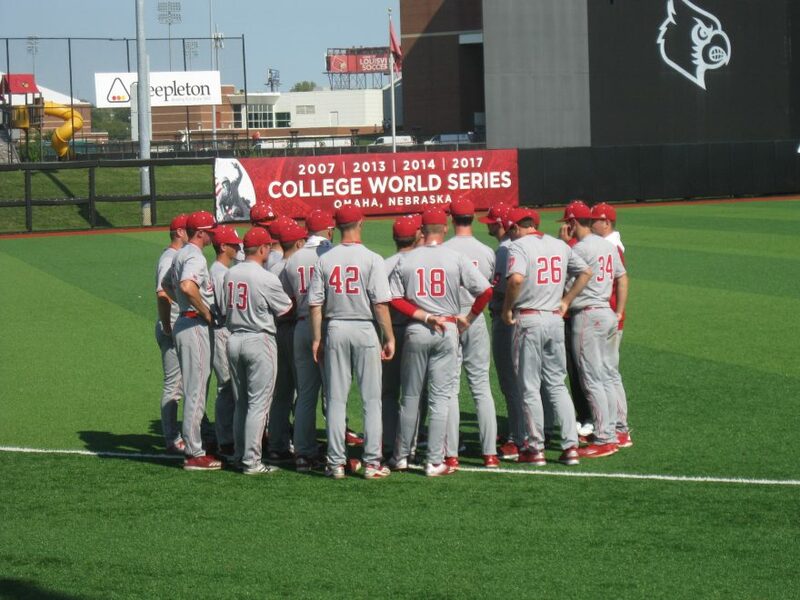 After accounting for a few more changes to the 2019 Indiana Baseball schedule, I am ready to release what the 2019 Hoosiers need to do to qualify for both an NCAA Regional berth as an at-large team and what they would need to do to qualify to host a regional. My analysis over the years has revealed that the RPI is a very good indicator on NCAA at-large bids and seeding. For all of the “resume” talk, the Selection Committee decisions largely fall on RPI lines. Now it’s not they don’t consider “resume” questions, its just that it has worked out that a northern team is usually going to have a good resume if they have a good RPI. All of this is looking at the end of the regular season before the conference tournaments. 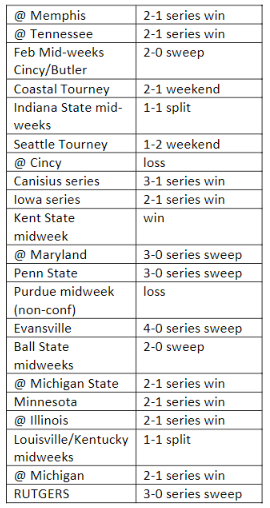 The games played at the B1G Tournament in Omaha will factor into this as well. Both scenarios depicted here have the Hoosiers on some sort of bubble, and a quick 0-2 exit in the conference tournament could “burst” that bubble (especially in the hosting scenario). 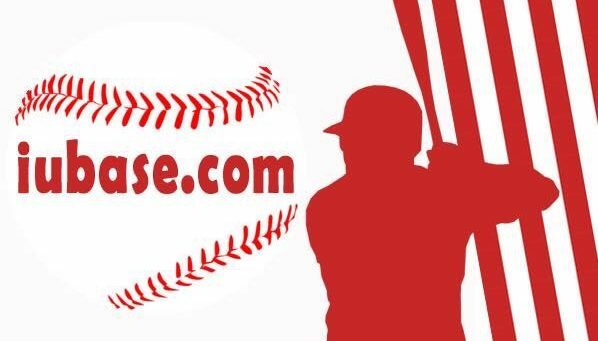 In the at-large scenario the number of “stolen” bids where at-large caliber teams lose their conference tournaments to teams that would not make the post-season effectively reduces the number of at-large bids. By my calculations there were 44 at-large caliber bids in 2018 but only 39 in 2017, so this can impact the at-large selections as well. I will be updating this information throughout the season. I will be looking for trends showing how well the aggregate of opponents are doing compared to 2018. I will also factor in cancelled games, especially with 2 midweeks scheduled in late February at the Bart. 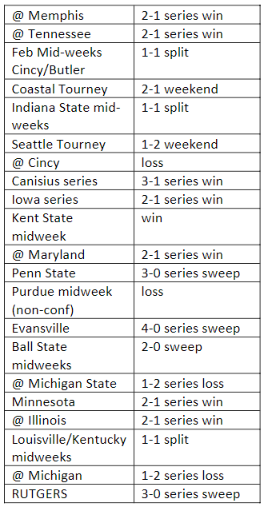 I do caution optimism on hosting even if the Hoosiers get off to a great start (say sweep both opening weekends and get key wins at the Beach and in Seattle). A B1G regular season title is a likely necessary component of a hosting resume so any early success needs to matched in conference play. * A prior version of this article had the hosting record needing to be 42-13 with 3 more non-con wins. That was an error.